We work hard for our annual leave, so it goes without saying that we’d like to make the most of it. Seeing more of the world in less of the time is one of the great benefits of cruising. Incorporate a pre or post-cruise stay in handpicked hotels, plus iconic railway journeys, exclusive tours and free attractions, and you’re onto a winner. A cruise and stay package is the perfect compromise if you’re struggling to decide between a land-based break and a cruise holiday, especially if preferences are divided between the group. More people than ever are opting to combine the two and it’s a more cost effective option than you might expect, not to mention the convenience factor and the promise of a more relaxing start to your holiday. Cruising can show you as many as ten destinations in a two-week holiday, plus stays in some of the world’s most enthralling cities and idyllic resorts. Arranging a multi-centre holiday to incorporate even half the amount of destinations wouldn’t only be nigh on impossible, but also seriously expensive. Fares for Bolsover Cruise Club’s ‘Far East Discovery’ package start at just £1,899 for an epic 20-night Asia adventure. This includes everything from return flights, 4* hotel stays in Singapore and Hong Kong, private transfers and a 14-night full board cruise aboard Holland America Line’s MS Volendam. You’ll even enjoy a complimentary Essential Hong Kong tour. Cruise and stay packages are fantastic value for money. Put simply, a cruise and stay package is a smarter way to see the world. When you choose a tailormade cruise package, all the hard work is taken care of for you. Flights are selected to make the most of every minute you have in your destinations, pre and post-cruise hotels are handpicked by experts, attractions can be booked on your behalf and you’ll cruise with operators who know every destination on the itinerary like the back of their hand. In partnership with Holiday Direction, Bolsover Cruise Club Cruise & Stay packages take everything which is amazing about a part of the world and combine it to create one amazing holiday. Iconic rail journeys, exclusive tours, safaris and more can all play a part in the holiday of a lifetime, with all the awkward logistics handled on your behalf. With every aspect covered by ABTA and ATOL, you’ll have peace of mind, too. If you’re heading halfway around the world to join your cruise ship, it only makes sense to extend your stay. Perhaps your fancy spending a few days in the Big Apple, before departing New York on a cruise to Bermuda with NCL? 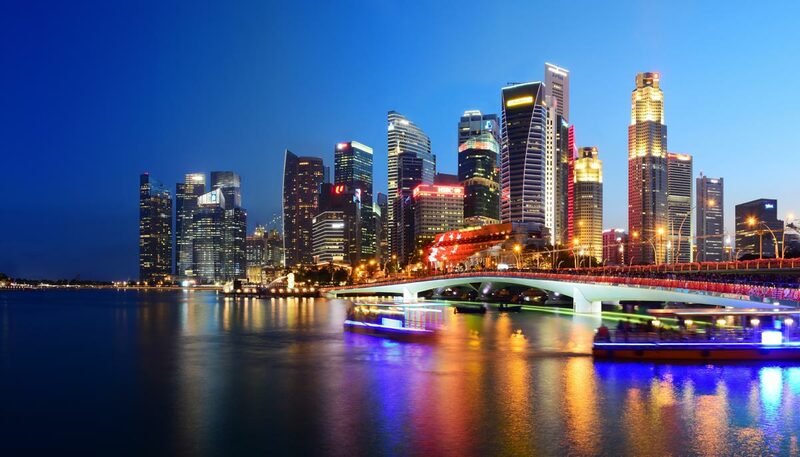 Maybe you’re voyaging to Malaysia, Thailand and Vietnam with Princess Cruises, in which case it makes perfect sense to spend a while soaking up the atmosphere in Singapore first. And if you’re headed for the Canadian Rockies, why not string out the holiday of a lifetime with an iconic rail journey aboard the Rocky Mountaineer. Cruise and stay packages aren’t only available in far-flung destinations either. In fact, nothing gets a Mediterranean cruise off to a cracking start quite like a few days in Barcelona or Lake Garda. And could there be a better way to make your way home from the Med, than aboard the Venice Simplon-Orient-Express?